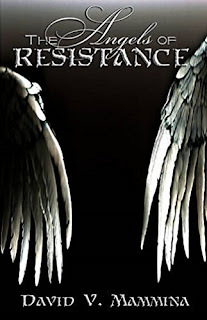 The Angels of Resistance is a fantasy novel set in a once prosperous world now devastated and at war with demons from hell. They are determined to destroy mankind and also retrieve those who are unwittingly demons like themselves. I found the world well-conceived and easy to imagine, and wow, it’s a vast one. The humans must band together despite ancient conflicts and current animosities if they have any chance of defeating the Demon Plague. The story opens with the battle that began in the city of Pommel moving on to the city of Tinaria where the king and queen reside. After an almost complete ruin of the city during the hellish night of attacks from flying demons, shadow demons, and other really terrifying entities, the heroes realize that this evil army can only fight at night. They strive to stay alive until daylight when they can regroup and figure out a plan. The fighting went on, but Tinaria never surrendered. As fate would have it, the most beautiful and treasured light appeared like a lost hero returning to his children. With hell invading Tinaria, the wonderful glow upon the horizon slowly rose above the trees. Slight rays of light began to cover parts of the kingdom. The light colored the towns beginning from the east and gradually draped the west. A natural occurrence, often taken for granted, became profoundly cherished. the wind did carry sail and rope. to challenge an evil born ages ago. to brake the hate long withstanding. but angst and fear wrenched in the night. The author, David V. Mammina, has done a good job of making the characters relatable through their personalities and flaws. He excels at action scenes, fights and close encounters. Those are sometimes mesmerizing in their detail and realism. The book is a long one, with many characters, many events and a very busy plot. It would be easy to get into this story and not put the book down for hours. A book like this deserves to be read in an unstoppable flow.